Aston Martin is synonymous with luxury, beauty, and excellence in its craftsmanship. 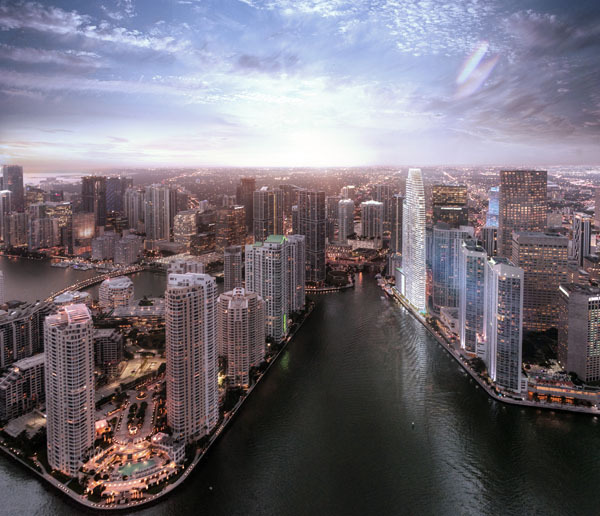 Aston Martin recently announced that it is collaborating with global property developer G and G Business Developments on a unique waterfront real estate project at the mouth of the Miami River, which will mark Aston Martin’s first foray into real estate. Resident Magazine sat down with Katia Bassi, Vice President at Aston Martin and Managing Director at AM Brands, who told us about the importance of “going beyond the brand” when it comes to luxury real estate. RM: Why is Aston Martin venturing into real estate? KB: Aston Martin is obsessed with design, shape, forms and proportions, so real estate project is the prefect way for Aston Martin to express this. RM: How will the brand’s team be involved in the design decisions? KB: The brand is working hand in hand with the team of designers to create that Aston Martin experience. We want to do something that everyone will recognize as an Aston Martin building, which reconnects with the values of the brand, which is why the Aston Martin design team will have a hand in every design decision made — from the finishes in our kitchens and bathrooms to the art that hangs in our lobby. RM: How does this project differ from other projects where the brand is solely a marketing tool? 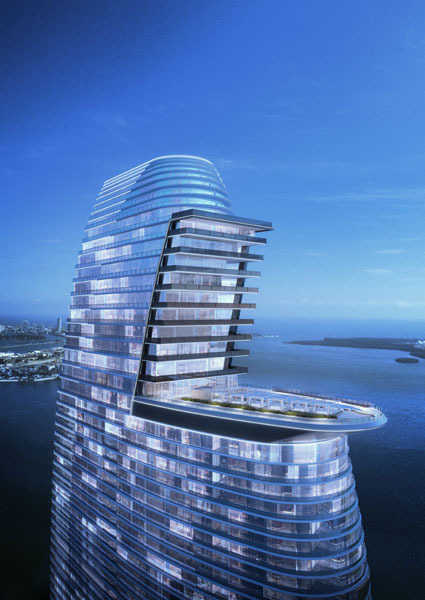 KB: That is exactly what we want to avoid with Aston Martin Residences. An important thing for us is authenticity. Everything we do is very much related to the application of the Aston Martin DNA into a real estate project. We want to be unique and we don’t want to disappoint our customers as Aston Martin. If you buy one of our apartments you can breathe the atmosphere of the Aston Martin DNA. RM: Why did you choose Miami as the location for your project? KB: First of all, we have to say that one of the main factors is the partner- we wanted an outstanding and reliable partner and G&G Business Developments is definitely the perfect definition of what we were looking for. 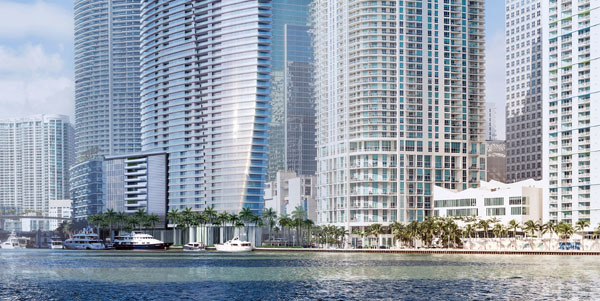 Secondly, we took our time and surveyed cities around the world for our first residential development, but we kept coming back to Miami. This opportunity presented the right partner, the right timing, the right location and the right backdrop for our launch. 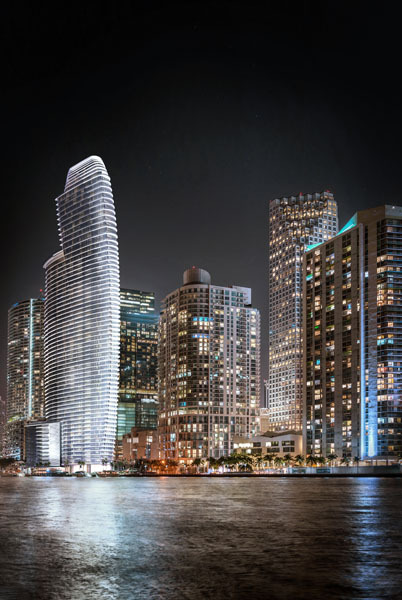 Miami’s global appeal, coupled with the power of the Aston Martin brand, make a powerful combination and we’re excited about using this project as a springboard for future residential development. RM: How does this real estate venture extend the Aston Martin brand? KB: Taking residence in an Aston Martin tower is a natural extension of our brand, and it’s something that our clients have been asking about for years. Whether you buy an apartment, or drive one of our speedboats they all embody the Aston Martin’s Art of Living portfolio- luxurious products that go beyond our cars and are a lifestyle. RM: Do all of the units feature the same design? KB: G&G Business Developments will provide the kitchen and the bathroom and then buyers can customize the rest of the unit according to their needs. Aston Martin will be more than happy to help the customer to customize their apartment if they want more of the Aston Martin DNA even in their private life.